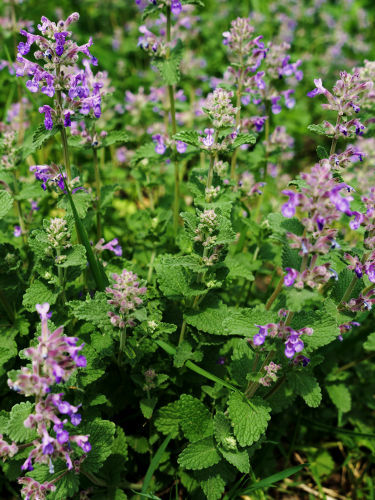 (Catmint) Smaller ornamental form of catnip with lavender-blue flowers and grey-white foliage. Excellent for massing, as ground cover or in rockeries. Does not attract cats despite its stronger, more pleasant scent.